Here at The Velvet Notes, we pride ourselves on giving you show stopping entertainment, in whichever form you desire. We’re the best at what we do and everyone knows we bring the vibe! Take a look at our reviews to see for yourself! Whether you need luxurious ambience or perhaps a party-hard atmosphere, we can cater to all your musical needs. We’ve been doing this for a while now and so we have an exceptional repertoire and performance style! We pride ourselves on not being cliche or cheesy and have great skill in knowing what will get your vining with us. 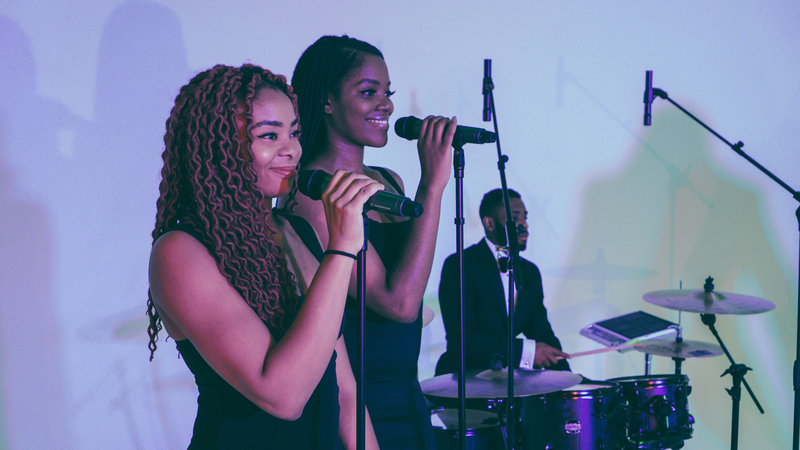 We, The Velvet Notes, are your best choice when it comes to making your event one to remember! From popular classics right through to the latest hits, we can do them all. Don’t just take our word for it, see what others have to say about us!